Checking the System Log on the AWS Cloud Console (EC2). IMPORTANT: The application password is only available in the system log for the first 24 hours after you first start the instance. We strongly recommend that you note it down immediately on the first boot and save it in a safe place, as you will be unable to access the instance console without it. We also recommend that you change it as soon as possible for security reasons. 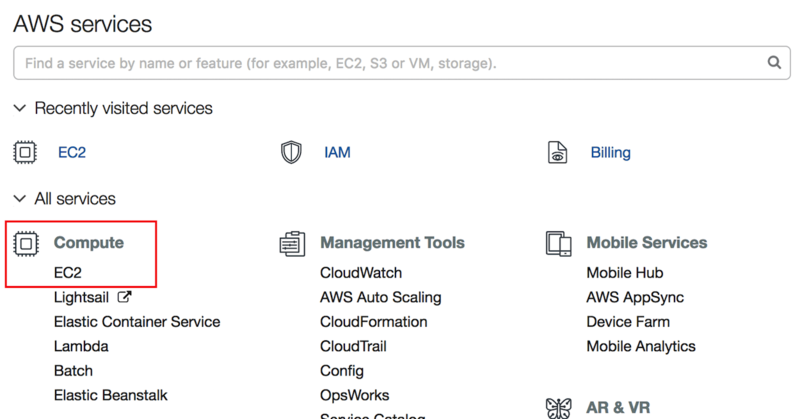 Log in to the AWS Cloud Console. Select the “Compute -> EC2” option. 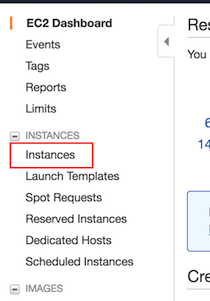 In the left navigation bar, click the “Instances -> Instances” menu item. Select your instance in the dashboard. 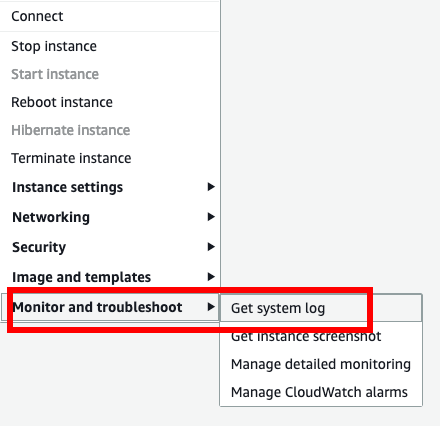 From the “Actions” drop-down menu, select the “Get System Log” menu item. Review the system log until you find the application password. You will also find the default username. 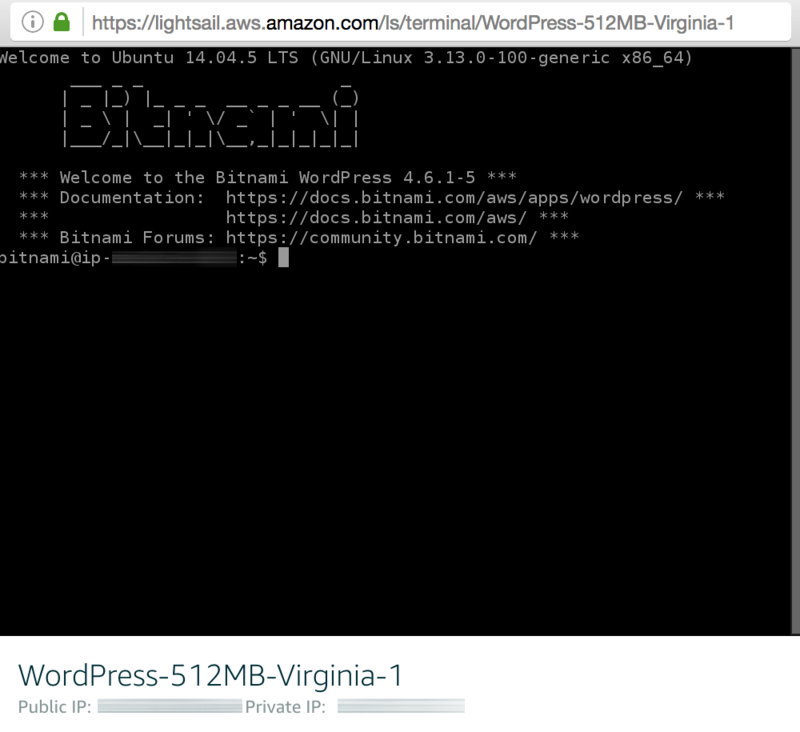 Browse to the Bitnami Launchpad for AWS Cloud and sign in if required using your Bitnami account. The “Application Info” section in the left panel contains the credentials for your instance. The password is hidden by default but will be displayed in plain text when the “Show” button, adjacent to the password input, is clicked. Log in to the AWS Console. 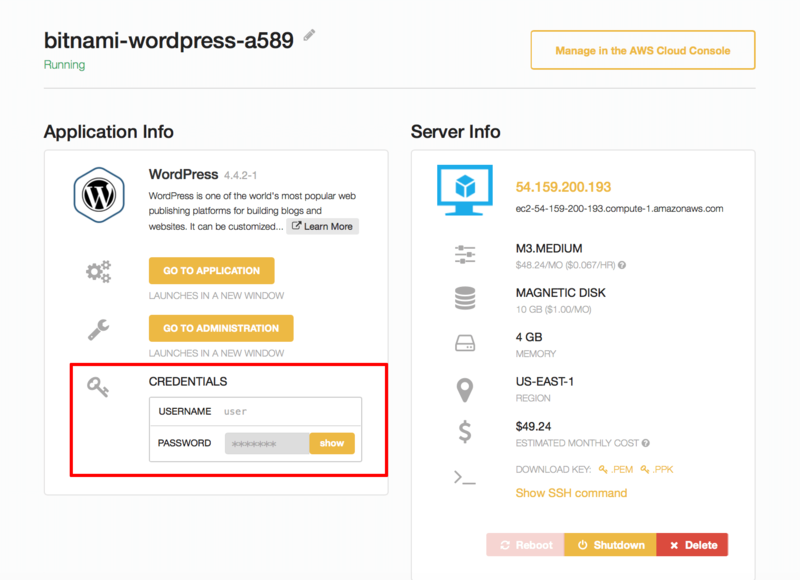 From the Amazon Web Services menu, select the Lightsail service and choose the server you wish to obtain credentials for. 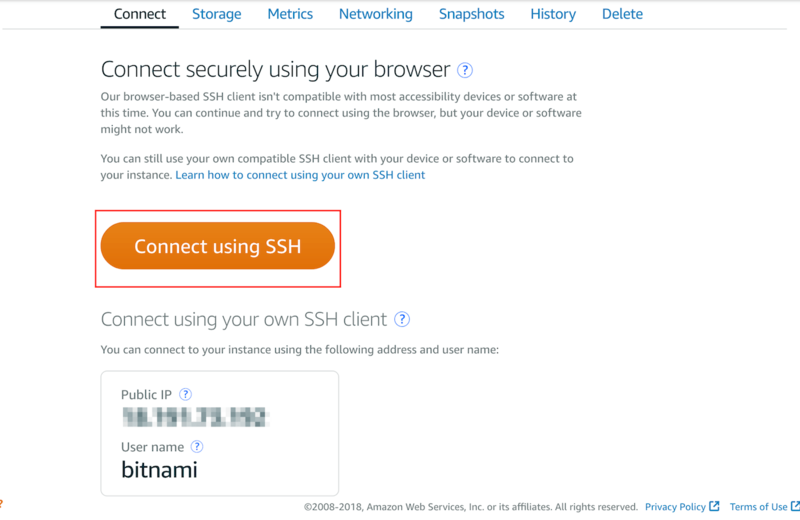 On the server detail page, click the “Connect using SSH” button. How To Find Database Credentials? You can find more information for each specific server in our documentation. 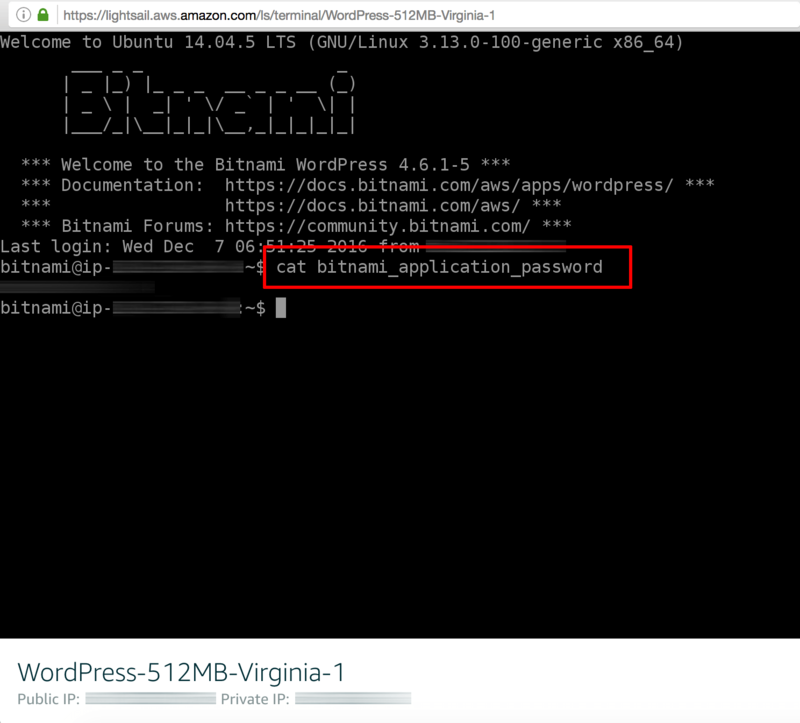 The database password is the same as the administrator password you use to log in to your application.